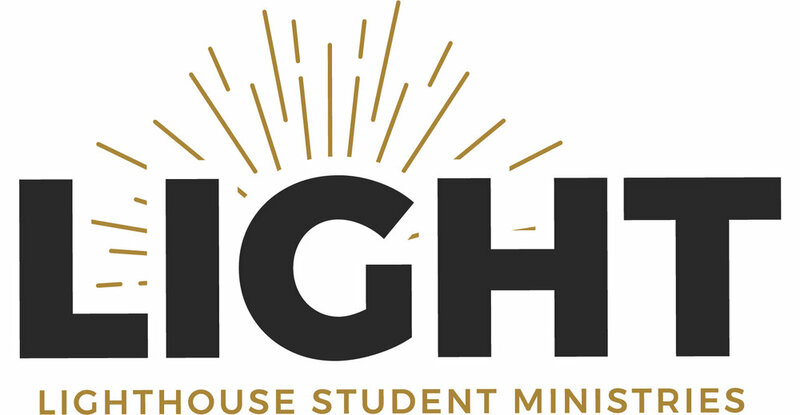 Lighthouse Student Ministries exists to disciple students to know, share, and love Jesus by building relationships and transforming families within a Gospel-centered community. Our mid-week meeting is called ‘The Lighthouse’ and we meet on Tuesday nights from 6:30-8:30pm at the church. We have a blast hanging out together with a large group of middle school (ROCK) and high school (LIGHT) students. We play games, enjoy worship, fellowship, good food, and develop deeper relationships with each other as we dive into God’s Word to learn what He has to teach us. Starting Sunday, January 13th 2019, all 6th-9th grade students will attend the first part of the main service with their parents, and transition to the Ministry Center at 9:00am (immediately following the corporate worship before the sermon) for their Sunday School class. 10th-12th grade students will be encouraged to attend the main service each week with their parents. Many of our events throughout the year are focused on nurturing relationships with Jesus and with people. Check out our calendar to see some of the things that we do throughout the year! Everything we do is focused around intentional loving relationships. We hope that The Lighthouse is an encouragement to you, and that you will encounter Christ in a new way here. Led by Matt Forbes who is the Student Ministries Director. We meet on Tuesdays at 6:30pm and worship with the middle schoolers and then break away for our High School message and small groups. There are many LIGHT events we do throughout the year as well! Check out our calendar and see what’s coming up next! Led by Max Dalrymple, who is our Middle School Director. We meet on Tuesdays at 6:30pm and worship with the high schoolers and then we break away, play games, hear a message, and participate in small groups. There are many ROCK events we do throughout the year as well! Check out our calendar and see what’s coming up next! The Hub is an after-school ministry for students in Middle School that meets from 3:45-5:30. We really encourage students to stick around for Lighthouse at 6:30!